Can Arbor Care Save Damaged Trees? There are a lot of components which go into a beautiful landscape, and the trees that punctuate the design are perhaps the most important. It can seem like the trees which are all around South Florida just showed up on their own, but these delicate plants have been cultivated over time. At GLIG Groundworks, we believe that the trees lining your property are some of the most important assets of your property’s value and design. Still, there are diseases and issues which can arise that threaten the beauty and structure of your trees. If you’re experiencing issues with the trees on your property, don’t immediately resort to cutting them down. 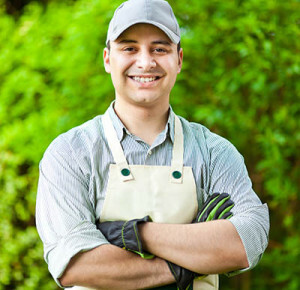 Our tree service in Pompano Beach may be able to restore your foliage. 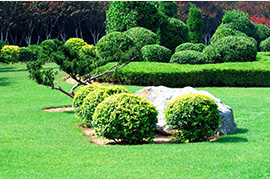 There are unique challenges which are presented when it comes to taking care of your trees, many of the problems which can damage the foliage are hard to control. The key to tree protection is to construct an effective line of defense against pests and diseases. For example, whiteflies are a common South Florida pest that can wreak havoc on your trees. These small bugs feast on the underside of leaves and leave seemingly toxic waste in their path. The whiteflies produce a waste called honeydew which acts like a fungus on your tree leaves, destroying the plant over time. Our experts at GLIG Groundworks can remove whiteflies and work to treat areas where they have fed. We can also apply repellants that will help keep whiteflies from returning to your trees. The science of arbor care in Pompano Beach includes treating diseases which can threaten the livelihood of your trees. Palm trees are plants which are synonymous with the Sunshine State, but these trees can become damages by diseases. Leafspots are some of the most common palm tree problems, they’re created by a combination of bacteria and fungus that create circular brown spots on the leaves of your palm tree. While these spots may not entirely kill a tree, in abundance they can be risky. We can help treat leafspots with sprays or treatments. Pink rot is another common palm tree ailment that can be prevented with proper planting, watering and delicate care. Our professionals at GLIG Groundworks can care for your palms with a delicate approach that can help preserve their strength and beauty. When it comes to caring for the trees on your property, the proper techniques and necessary procedures can often be complicated. This is why it’s best to trust in our tree service to keep your trees at their very best. We can come to address specific problems, or work with maintenance schedules to help prevent issues from arising in the first place. The trees on your property are one of your most beautiful assets and our arbor care can help keep them that way. Call today to learn more and schedule an appointment.